Born amid poverty, illiteracy, and abuse, Howard Calhoun lived his youth as a sharecropper’s son and spent a large portion of his formative years moving from one shack to the next. Saddled with a serious stuttering problem and demoralized by a succession of demeaning employment experiences, this soft-spoken observer of human nature went on to become an owner of several successful businesses with a workforce that numbers in the hundreds. For anyone who has ever felt overwhelmed, helpless or threatened by events beyond their control, In the Shadow of Sacrifice encourages them to look within, tap their faith and use that positive energy to recognize their own excellence. Q: Let’s start with the $64,000 question: who is Howard Calhoun and why is he here? A: I consider myself as a simple person who acquired modest and humble values from an upbringing populated by a large, tight-knit family and a very involved community. I believe I have been entrusted with some very important gifts that I have been compelled to share. Q: You’ve had a number of diverse careers over your lifetime. Who – or what – charted your course to pursue each of them? A: A relatively unknown school counselor was the first one to actually sit me down and tell me that he thought I ought to be thinking about something (college). That opened a world of opportunities to me! My successes from that point expanded my interests and desires and helped me identify and crystallize areas of strength without losing the value of multiple exposures. I have tried to align my career choices with my passions and strengths. Q: Which of your careers did you enjoy the most? A: My last public job was as a school counselor. It was my most rewarding one. In a sense, it was as if I had come full circle from that afternoon as a senior when I had that conversation with a school counselor. This has been my opportunity to give back as so much has been given to me. After I completed my public career, I have added several more professional counseling credentials to my resume and it has been a joy to make counseling and changing lives for the better my life work. Q: Is there a single life-changing event that leads you to be the person you are today? If that event had not occurred, where do you think you would now be instead? A: Actually, it was an event in which I did nothing. It occurred on the heels of a supervisor telling me that I would work where he damn well told me and that if I didn’t like it, then I could let the door knob hit me where the good Lord split me. And he finished with, “Now get the hell out of my office.” This occurred because I was inquiring about the fairness of being passed over for transfer to a shift of my choice by other employees with less seniority than me. The decision not to be rash taught me a value in restraint that I still use today. It allowed me to continue my career without what most likely would have gotten me terminated, locked up and a criminal record. My young career did not have the sustainability at the time to take such a hit. Also, personally, mishandling that situation certainly would have placed me on a trajectory counter to my life’s choice. A full recovery may still lay in wait. Q: What was the inspiration that led you to tell your compelling story in the genre and format you chose? A: My mother’s sacrifice and the encouragement of so many others. Q: Tell us the meaning behind the book’s title and how it reflects the book’s core themes. A: The book is a loving tribute to my parents, siblings, and community; all who had a hand in my development, but especially my mother. With her life, she demonstrated unwavering love, strength, courage and faith. She encountered constant stress and uncertainty that was complicated by a disability (hearing impairment). I learned early that my speech impediment (stuttering) was not to be used for sympathy, pity, or an excuse. My personal and professional successes were made possible because of her examples. Amidst poverty, abuse, and illiteracy, the strength of my mother’s life in quietness proved too much not to be heard. I am that voice. As a product of that sacrifice, her constant message of love, above all else, is the resounding inspirational theme throughout this book. Q: Would you define your book in terms of being motivational or would it better fit the label of self-help? A: It is both, but I could see how it may be considered more motivational because the format of loosely connected short stories easily translates into motivational pieces where self-help generally offers step-by-step guidance over many stories on how to achieve a specific goals. 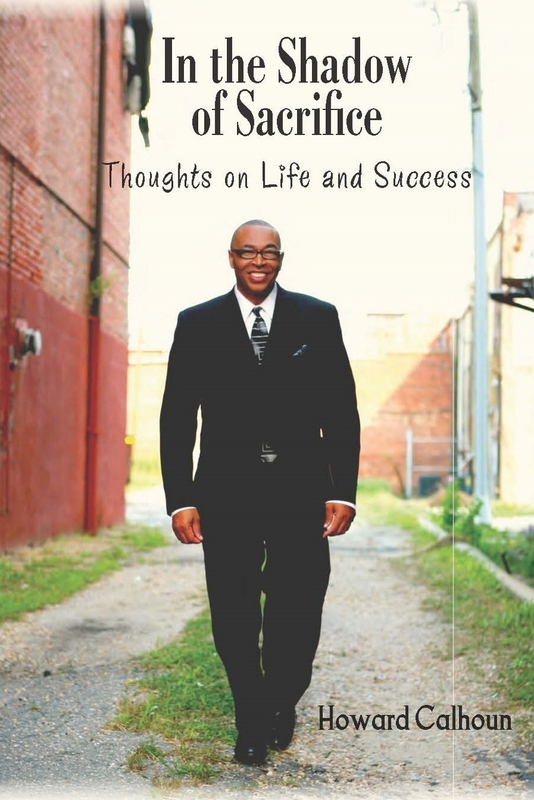 My book implores readers to draw comparisons and contrasts from my life’s experiences with theirs and to use those experiences as encouragement to enrichment their own lives. Q: You’ve indicated that the book will resonate with anyone 15 years or older. What do you think a teen reader might have in common with a reader who is over the age of 60? A: Life experiences and stories are common for all ages. A youth with few experiences can use help in connecting the dots. As a more seasoned individual, I hope that telling my story is helpful in ensuring that youth get a better understanding of how their experiences at an early age can serve as a foundation for tomorrow. Many of my stories in the book had their genesis before age fifteen. For adults, many are still vibrantly chasing their dreams but sadly, many others have given up on what they deserve. I want my stories to keep the adult engaged, sober, and in pursuit of his or her dreams. Q: Do young people today have it harder or easier than you did when you were growing up? A: I think levels of difficulty are hard to compare and measure from one generation to the next because each era offers different variables measured against factors germane to that era. So without a reliable tool to account for an accurate rate of adjustment for eras, I think to say one is harder than the other is…just too hard to say. History has shown that advantages and disadvantages have neutralized each other so often by people failing to capitalize on advantages or others using disadvantages as motivation. One generation has limited opportunities and another generation, limits their opportunities. What gives! Q: What are some of the takeaway values and lessons you’d like your readers to come away with by the final chapter? A: We are all products of sacrifice. If we are here in 2013, much has been sacrifice for us. We are a survival of billions of years of evolutions and to be tripped up by so many trivial matters shames our miracle birth, divine purpose, and our Creator. My mother’s life was difficult, but it was as if her purpose was always greater than herself, perhaps connected to evolution in a way that always made the moment look small, yet appeared too important to waste in complaining or gossip. Q: “Soft negative” is a recurring phrase in your book. What, exactly, does it mean? A: A negative that camouflages not as a true negative. It may be even appear positive, but over times always produces negative outcomes. Human beings will stay in situations that they believe aren’t that bad a lot longer than they would in situations that are obviously bad. Many times the negative effects of situations aren’t present at the outset or it may not be the intent of the person in charge of the situation, but it turns out to be negative, nonetheless. Often we just pass it off by saying that’s life or that is the way it is. Perhaps it is the lack of careful examinations of routine matters because they are routine matters that set us up for negative outcomes. A: Actually, we operated as our own publisher, but did research to find the best support we could in helping us produce a quality product. We were satisfied with much of what Book Master was able to do for us. Q: What do you know about today’s publishing business that you didn’t know when you began this journey? Are there things you might have done differently? A: It was a little harder than I anticipated and much more time consuming than I expected. One pays dearly for what one don’t know. I did enjoy the experience. I wish I knew how to use a crystal ball. One of the things, I would do differently would involve learning more about the intricacies of book releases, so I would not mislead so many about release dates. Q: How involved are you in the marketing and promotion of your new title? A: I am involved in a lot of the promotion. I try to do something at least every other day. I wish I could say daily, but because of the demands of my other ventures, I have to integrate marketing and promotion into my other commitments. I could probably use someone dedicated to marketing. Q: If your book were adapted to a movie, who do you think could best capture you? A: Promoting this book to a larger audience, even foreign markets. I do have enough material for an In the Shadow II, but I would like to maximize this project first.